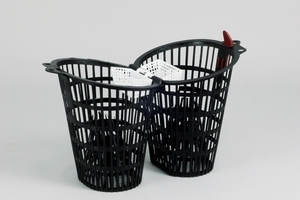 This crayfish trap is made of sturdy and durable injection-moulded PE-plastic and is stackable. 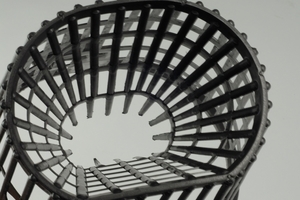 The trap has two big funnels at each end. 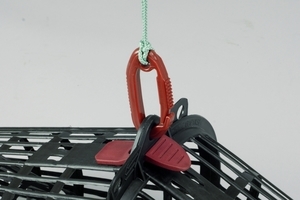 It can easily be opened and closed with the help of a heavy galvanized steel hinge that also gives the trap its low center of gravity and stability. 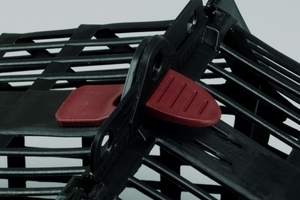 It has got several smart functions, one being the 3 different spots for fastening the line making the trap more adaptable for your type of fishing. It can also be combined with the newly developed bait box (not included, bought sperately) to make the fishing more efficient. Price per package of 10 pcs.